Our extrusion lines are unique for their solid construction and their flexibility. Considerable benefits are given by the fact that the whole production can be managed by using the touch-screen interface with the possibility of memorizing settings relevant to each production. The production of standard metric system dies for rod lines starts from a diameter of 5 mm to up to 300 mm, for perforated rods the diameter starts from 50 mm to 300 mm with the opening’s diameter of 30 mm up to 270 mm and a minimum thickness of the tube of 12 mm; on the other hand, for the sheet line the width can vary from 300 mm – 600 mm – 1000 mm – 1250 mm, with thicknesses from 6 mm up to 300 mm. The production of standard imperial system dies for the rod lines starts from a diameter of 0.25” to up to 12”, for perforated rods the diameter starts from 2” to 12” with the opening’s diameter of 1,1/4” up to 11” and a minimum thickness of the tube of 0,5”; on the other hand, for the sheet line the width can vary from 12” – 24” – 40” – 48”, with thicknesses from 0,25” up to 12”. Additionally, we are able to develop specific projects to accommodate the different requests of our clients by varying the size and structure of our production line in order to adjust them for the handling of different types of materials and to the size of the product which will be mainly extruded. Everything our clients can think of, we can make. 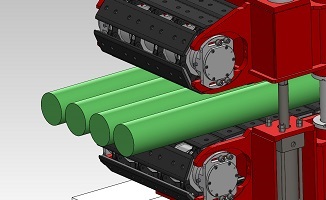 For example, in the standard lines we can insert accessories which can improve it’s production efficiency, such as aligned ovens, flow regulation valves, accumulators … or we can build multi-purpose production lines for the extrusion of round rods, sheets and products specifically designed for the medical field. 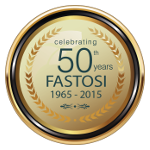 For over 20 years, in the field of plastic extrusion, Fastosi has built complete lines of extrusion or machines able to improve already existing lines for the production of rods, perforated bars and sheets of variable size. Dedicated lines for bars, rods and rounds, which can however be modulated for almost any use. 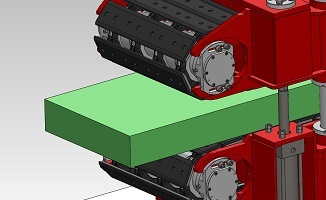 Extrusion of sheets, with stabilizing oven and quick-change press.